This bracelet uses only the double half hitch knot, except for the few knots to attach the split rings at the end. That's it - you just have to learn ONE knot. You can do that, can't you? I didn't include instructions for that in the tut (it was already 14 pages! 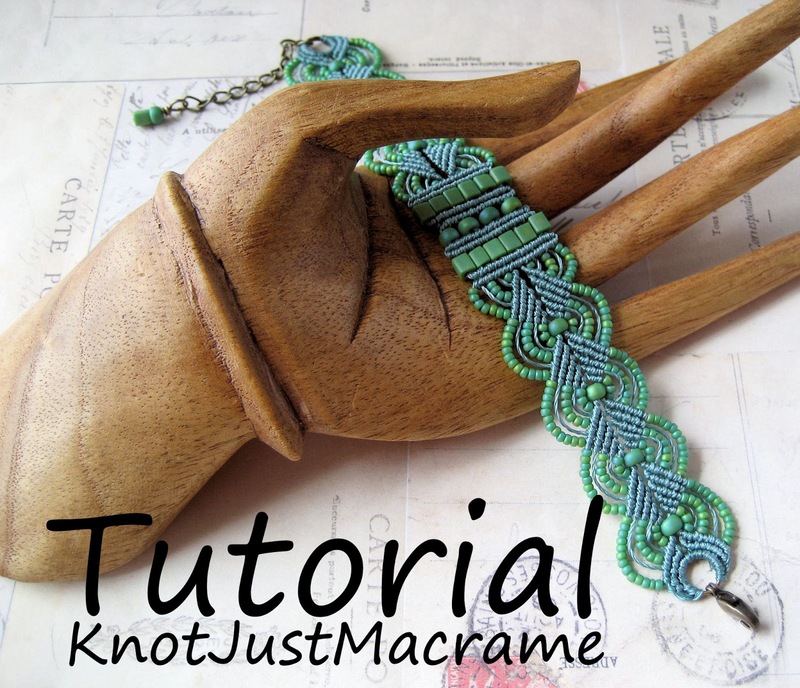 ), but I did find loads of places online where it's covered, including a You Tube video by Ms. Joan Babcock (the macrame master!). Yup. It's been a busy week. Oh, and for those of you who don't want to try knotting your own? Both of these bracelets will be available in my shop soon. I aim to please. I used to manage a macramé shop years ago. This is a beautiful bracelet! Makes me wish I had not gotten rid of a whole bunch of macramé supplies. Great job! Old things become new again :) Pick up a roll of cord & go for it! !